PANKE. Martha ( Roch) Panke, 91, passed away on Wednesday, (July 5, 2006) at St. Francis Hospital after years of poor health. 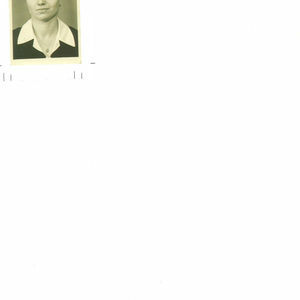 Born a German Nationalist in Glucktal, Kreis Schitomier (Wolhynien) Ukraine, she, her husband and children fled Russia in 1942 during WWII and settled in Germany. She was predeceased by her husband, Helmut Fridriech Panke in 1949. Martha came to the United States with her son, Nicholas H.T. Panke in 1953. She lived in Waterbury and in Oakville and worked for U.S. Tine (Timex) until retirement then moved to Bloomfield. She is survived by her son, Nicholas H. T. Panke and wife, Carol (Gostin) Panke of Bloomfield; a grandson, David N. Panke and his wife, Mary Jane (Bovenzi) Panke; great grandchildren, Max and Sam of Vernon; a grandson, Eric P. Panke and his wife, Elizabeth (Dzilenski) Panke; great grandchildren, Charles and Greta of Milldale. In Germany she is survived by a stepdaughter, Martha (Panke) Wendt, grandchildren, great grandchildren, a brother and two sisters and their families. Marthas family would like to thank the Wintonbury Health Care Center and St. Francis Hospital for the wonderful care they gave to Martha Panke. There will be no calling hours or public service. Burial will be at the convenience of the family in Mountain View Cemetery, Bloomfield. Carmon Windsor Funeral Home has care of arrangements. To leave on-line condolences please visit www.carmonfuneralhome.com.